Celebrate Spring at the Spring Stroll in Ridgefield Ct. This coming weekend Friday, May 1 and Saturday May 2, downtown Ridgefield Ct. will be hosting their First Annual Spring Stroll. If you have ever attended their yearly Holiday Stroll in December, you know that Ridgefield offers a good time with events going on both days, plus shopping and dining. Shake off the long winter and join the spring fun in nearby Ridgefield. 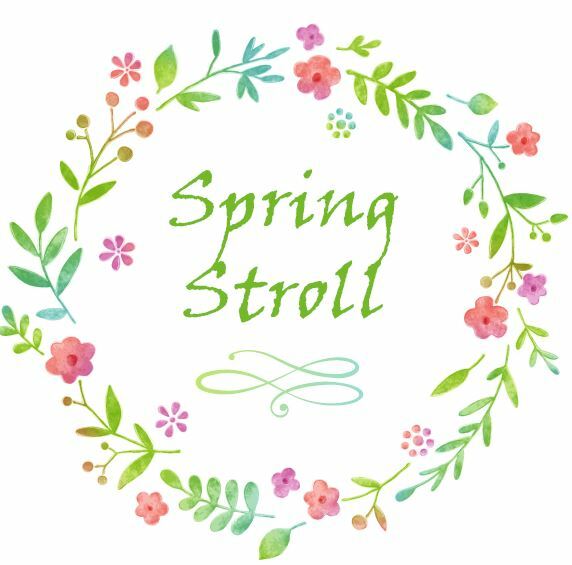 The Spring Stroll will feature events such as music, magicians, stilt walkers, a fashion show, balloon artists and festival performers, sidewalk chalk artists, petting zoo and of course sales at some of the many merchants in town. 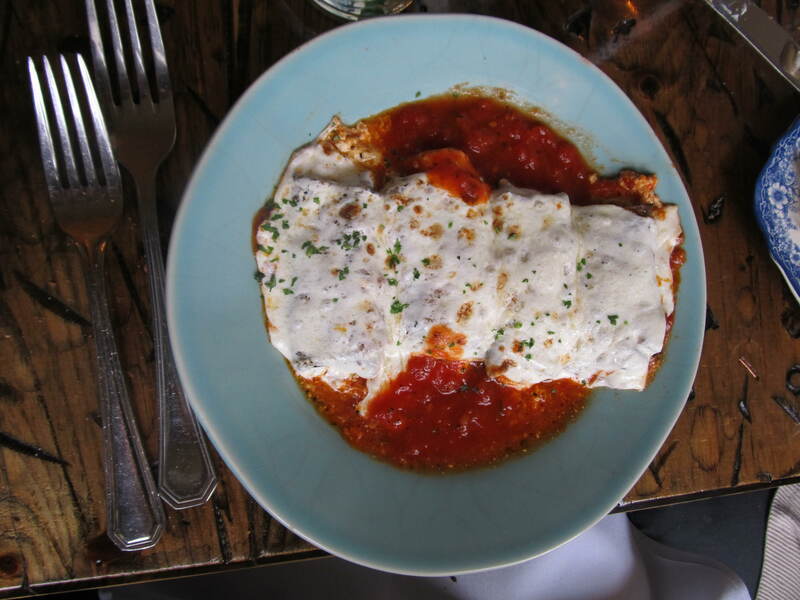 I started with eggplant rollatini with marinara sauce. 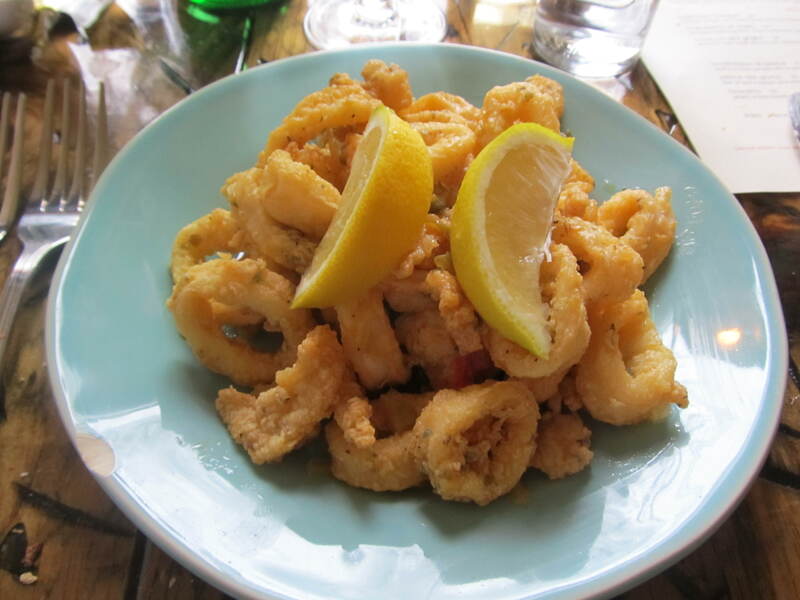 Other appetizers shared were fried calamari with lemon slices, salad with anchovies, and baked artichokes. All were very tasty and fresh. I especially loved the eggplant which had a wonderful marinara sauce that melted in your mouth. 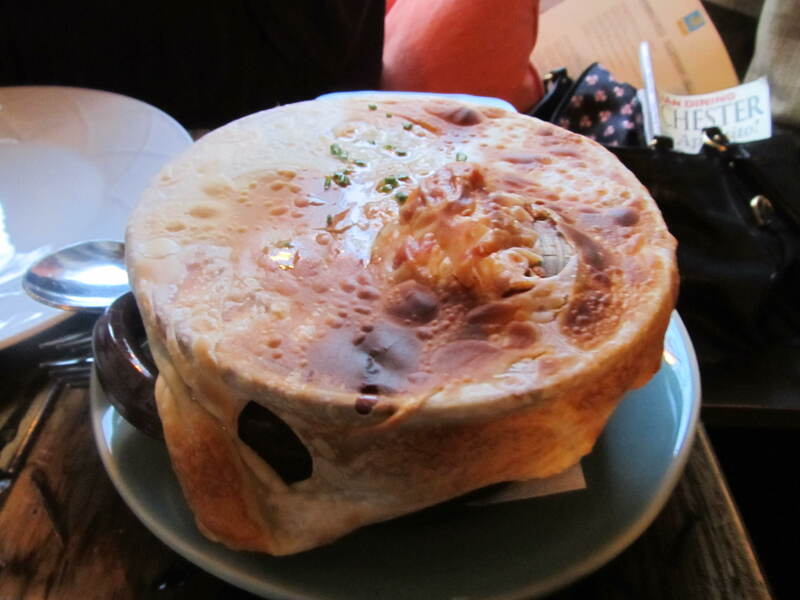 For an entree I chose the boulliobese di pesce which consisted of linguini pasta served with seafood in a stew topped with a flaky pastry crust. This was really delicious and a nice twist of a zuppa de pesce. My husband ordered homemade lasagna with a creamy bechamel sauce. The fresh homemade pasta really made this dish stand out. 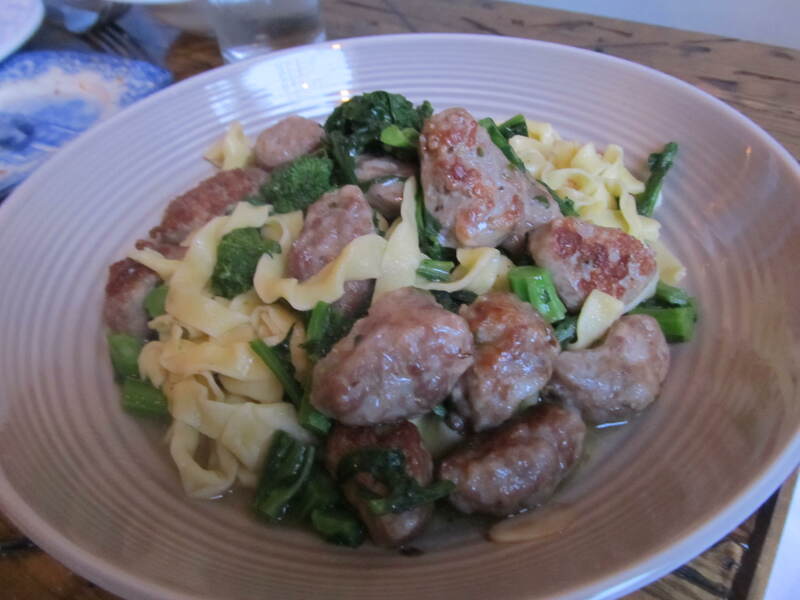 The other entrees included mixed seafood in a marinara sauce and homemade gnocchi with sausage and broccoli rabe. I was told by my fellow guests that everything was delicious! 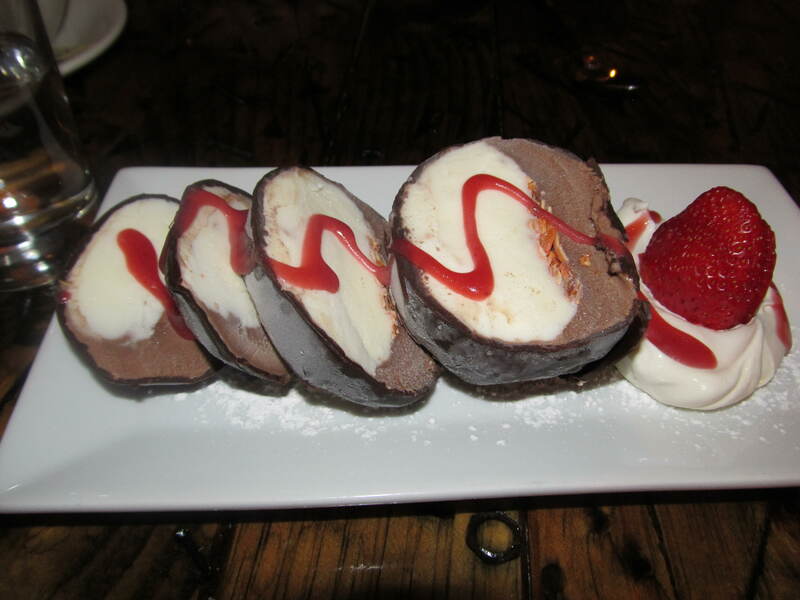 To complete our meal I finished with tartuffo which was a nice presentation of ice cream with a hard chocolate covering cut in pieces with cherries inside. The last dessert was an apple cinnamon bread pudding. Cappuccino completed my tasty meal. 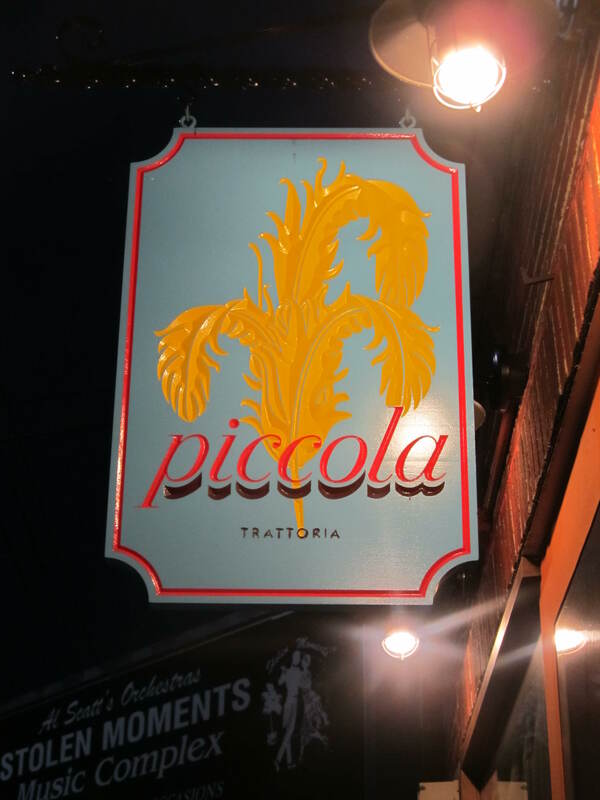 It is no wonder that the owner/ chef is Sergio Pennacchio has been nominated as one of the best chefs in Westchester County by Westchester Magazine. 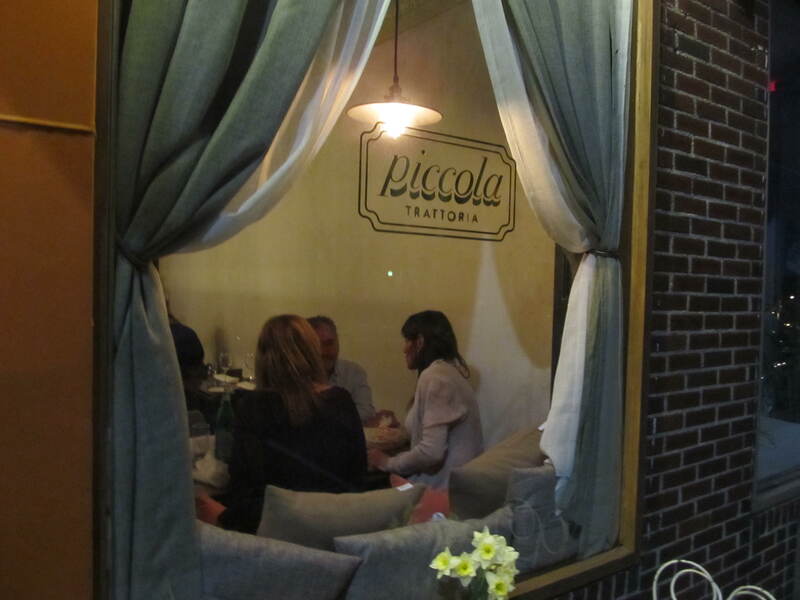 Don’t miss this fine dining experience in southern Westchester. I will be back for sure. 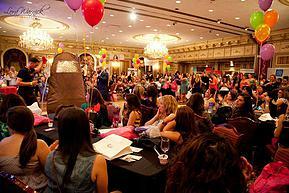 West Side Story Returns to Westchester ! West Side Story the award winning Broadway play has returned for a run at the Westchester Broadway Theatre in Elmsford. The musical which premiered on Broadway in 1957 and enjoyed several revivals features the legendary talents of Leonard Bernstein (music), Jerome Robbins (choreography), Stephen Sondheim (lyrics) and book by Arthur Laurents. West Side Story would be made into a movie in 1961 and would earn 10 Academy Awards. 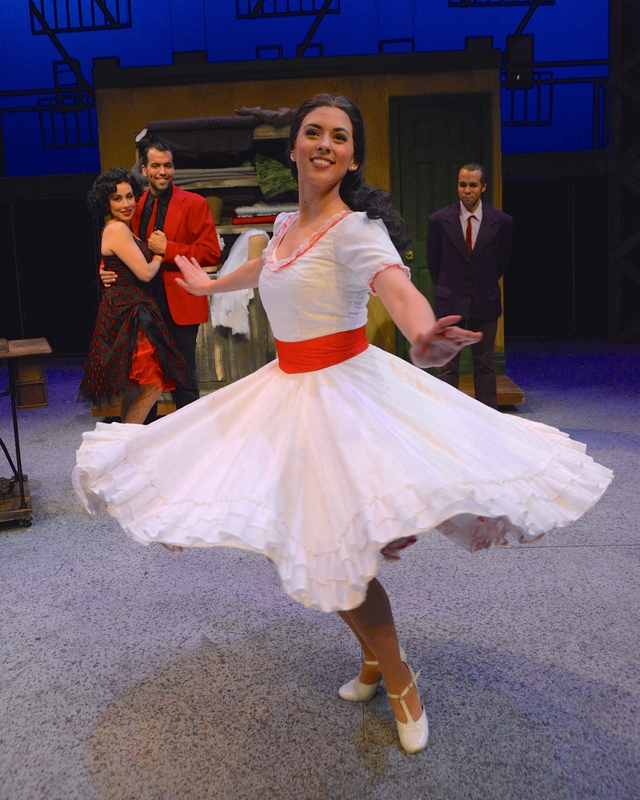 West Side Story returns to Westchester having last been staged here in 1998. It was directed by Barry McNabb who returns to direct and choreograph this performance. The current show stars Carly Evans as Maria, and Zach Trimmer as Tony ( who appeared this winter at the theater in South Pacific). The performances of both lead actors was fantastic and Carly Evans portrayal of Maria was memorable as were her soaring vocal performance. The rest of the talented cast provides non stop entertainment throughout the two acts. All the actors are members of Actors Equity and are professionals with credentials ranging from roles on Broadway, London, Regional theatre and National Tours. Dinner is part of your evening at the theatre and is served before the performance. The theatre is intimate and wraps around three sides of the stage so every seat provides a great view. 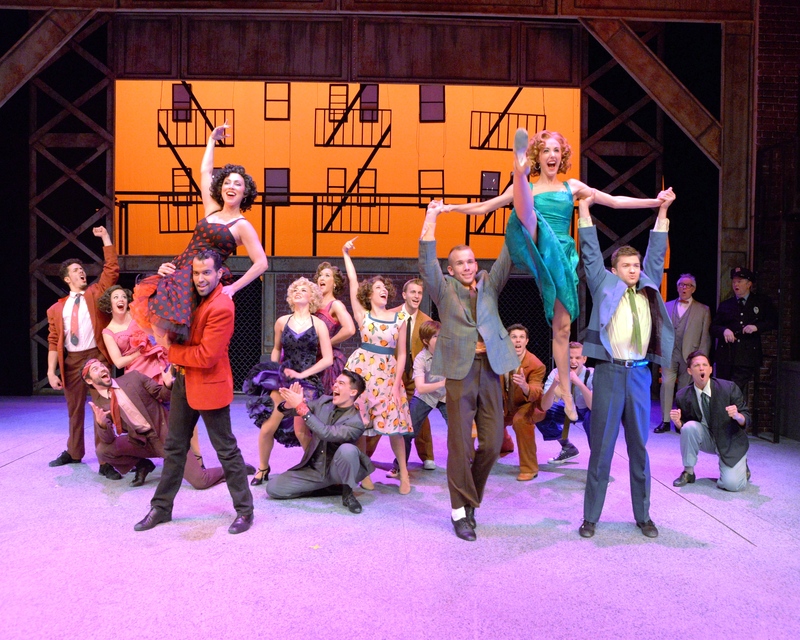 West Side Story will run at the Westchester Broadway Theatre through July 5th 2015. Don’t miss it!. Beacon New York, right on the Hudson River in Dutchess County is a great day destination. Main Street in Beacon has been transformed into a mecca for artists, galleries, and one of a kind shopping. 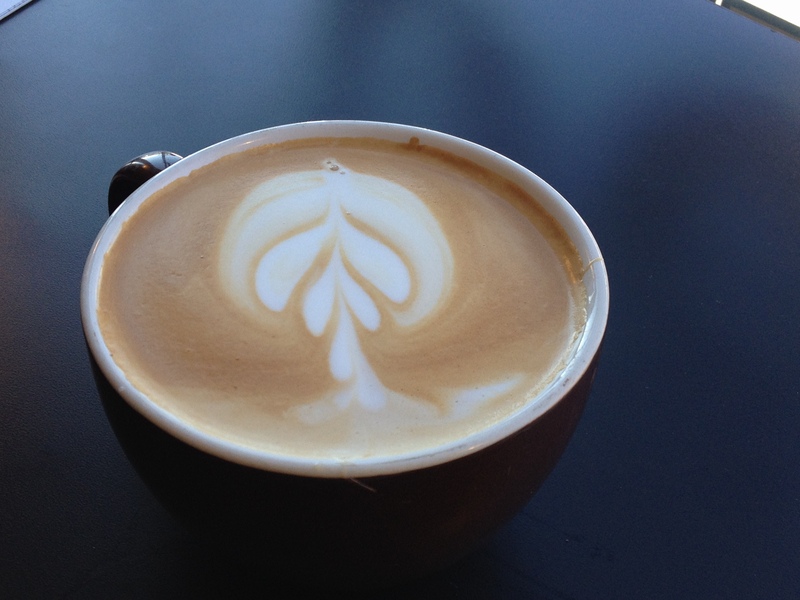 Naturally you might want to stop to recharge with some great coffee. 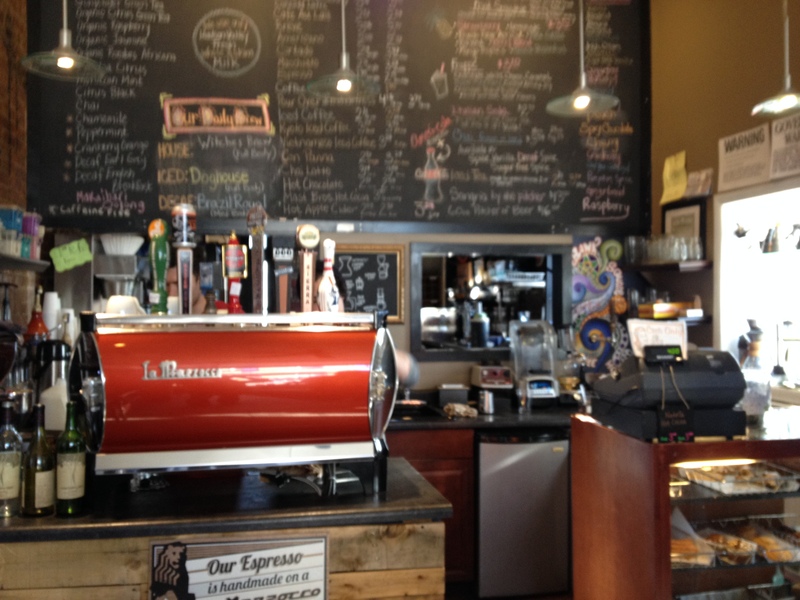 While in Beacon, a great place to stop in is the Bank Square Coffee House for a latte or specialty coffee. 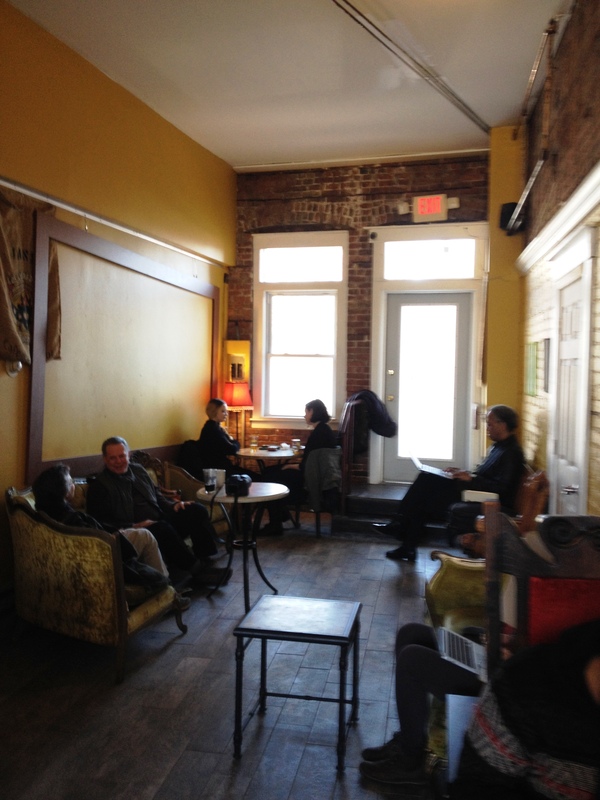 This funky eclectic spot is a fun and interesting place to relax, sit on a couch, read the paper or talk with friends. This popular shop has so many fun beverages to try it’s hard to pick just one. All are beautifully made with special touches. My white mocha caramel latte was simply delicious and served with a cream swirled heard inside the cup. My daughters’ hot chocolate was just as tasty with Ghiradelli chocolate and cream. 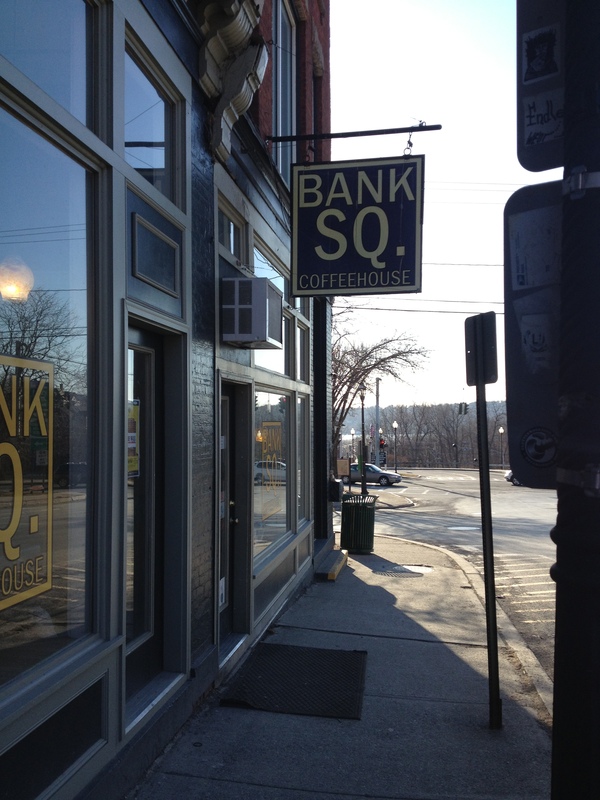 While visiting this cool town don’t miss a trip to Bank Square Coffee House. Located right on historic Main Street.